We all know that January can be a pretty miserable month after the excitement of the holiday period. January is the time when we’re back to work, trying to stick to our new year’s resolutions and trying to deal with the coldness of Winter. On January 21st, 2019 comes Blue Monday, a day that is widely regarded to be the most depressing day of the year. Often, it’s much easier to feel better with a little bit of comfort eating to treat ourselves when we’re feeling blue. Thankfully, there are many foods out there that can make the perfect comfort foods to combat the misery of Blue Monday. Read on to find out our picks for the best comfort foods to make you feel better on Blue Monday. When you’re in need of comfort food, pizza is another ideal food to eat. Even better? Fried pizza. The Panzerotti from Fritti Italian comes in many different flavours and is a type of fried goodness you’ll be itching to try again after your first taste. 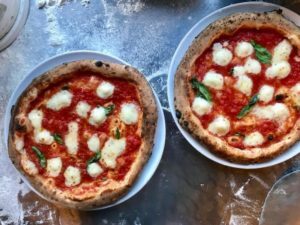 If you’d rather some traditional pizza, look no further than Dusty Knuckle. 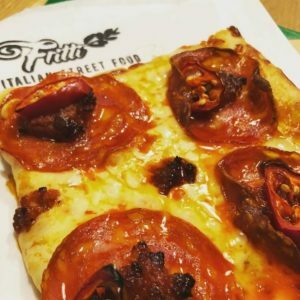 Named Top 10 Pizzeria by The Guardian & Top 25 UK Pizzeria by The Sunday Times in 2016, Dusty Knuckle’s Wood Fired Pizza is definitely one to try on any day of the week, not just when you’re feeling blue. With ingredients sourced from local providers and a mouth-watering taste, the burgers served at Hoof Horn to Hind are great comfort eats that don’t break the bank. We especially recommend The Dirty Hoof, made from a Flat Iron Steak, Pickles, Cheese Cheddar, an organic potato bun, and served with a chilli and herb sauce. Nothing like a little spice to warm up even the coldest of days, right? 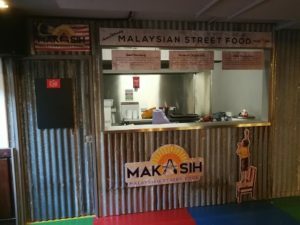 Why not try the Vegan curry from Makasih? There’s a little bit for everyone at Makasih, from their Vegan curry to delicious noodles. Even though it’s cold outside, Ice Cream is still what most of us probably think of when we hear the words ‘comfort food.’ These delicious desserts make us feel better whatever the weather. Joe’s Ice Cream Parlour is definitely one to try if you fancy something different in the ice cream department. Ranging from all traditional Neapolitan flavours to more obscure yet equally tasty flavours like bubblegum, Joe’s has it all. They even have ice cream sandwiches! 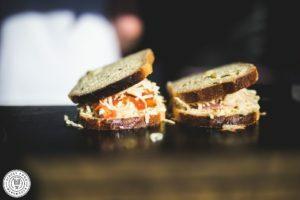 These are just some of our picks for some great street food vendors that will satisfy your comfort food needs, but you may have many of your own. There’s so much out there to try that we may not have mentioned, so dig in! This blog was written by Emma James.